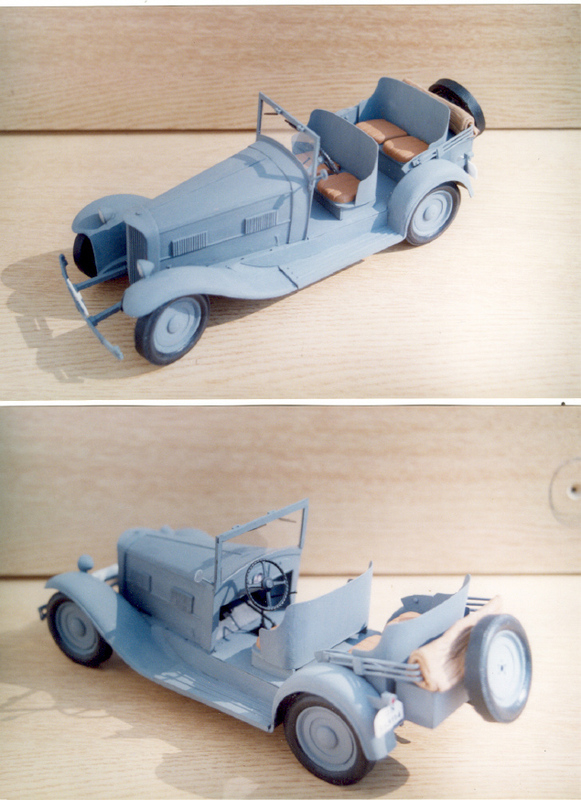 This model was made using a couple of photos from an old German book on WW2 military vehicles. 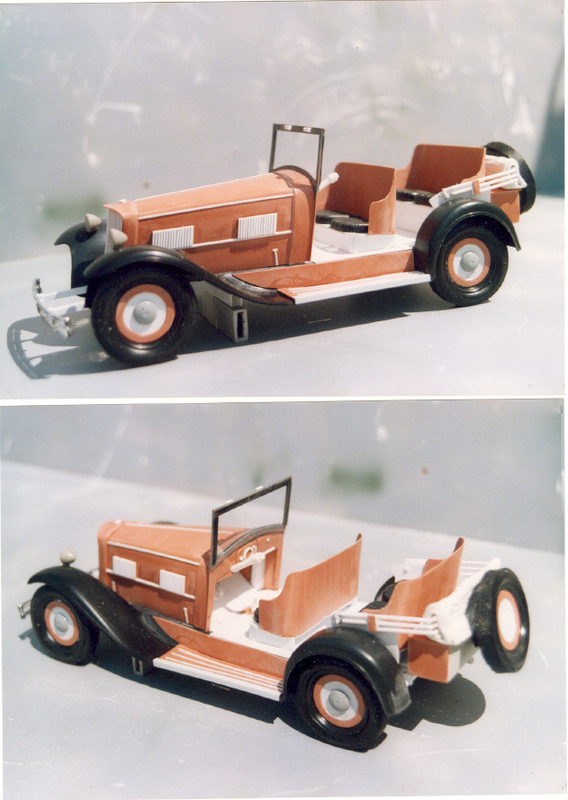 The running board assembly is from an Academy 1931 Ford, stretched by 1/2 inch with the bonnet, floorboards, and seat backs from 20 and 30 plastic card. The kit also supplied the steering wheel and bumpers.